HBO true crime documentary The Case Against Adnan Syed centres around a Baltimore young man who may have been wrongly convicted in 1999 of killing of his girlfriend Hae Min Lee. This was also the subject of a Serial podcast. Directed by Academy Award nominee Amy Berg, the 4 part series premiered in the US on March 10th. In 2014, the world became obsessed with Adnan Syed. Thanks to the first season of the wildly popular Serial podcast, his conviction for the murder of his former girlfriend Hae Min Lee in February 2000 became a deepening puzzle for true crime fans to grapple with. 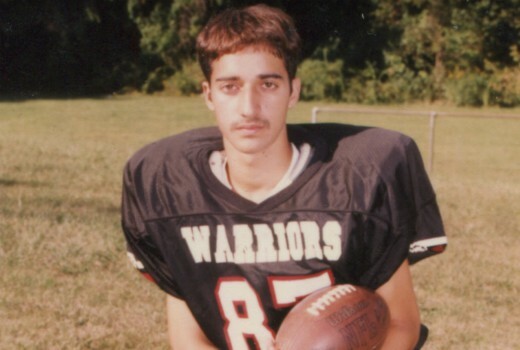 The Case Against Adnan Syed is an investigation into that gripping story. Following the Serial phenomenon, which went on to become the first podcast to reach 5 million downloads on iTunes and totalled 175 million downloads globally, The Case Against Syed returns to the 1999 murder of Lee, an 18-year old high school student, and Syed’s conviction in 2000. The Case Against Adnan Syed re-visits the teen romance between Lee and Syed and the ultimate demise of their relationship. It also re-examines the events leading up to Lee’s disappearance, the original investigation and subsequent conviction of Syed, and follows present-day developments in the courts as they unfold. With exclusive access to family, friends and teachers of both Syed and Lee, Baltimore law enforcement officers, the defence team, as well as Syed himself, the series reveals ground breaking new discoveries that challenge the original case. Sunday, 7 April at 8:30pm on SBS. p.s. An appeal cancelled the retrial on March 8, so that is no longer an issue. Should be interesting. Neither prosecutions nor Serial’s case made complete sense. HBO’s doco should have been made after the retrial though, as it will likely influence it heavily. There’s another podcast called Truth and Justice which as season 1 covers this at length. Gets a lot of emails through Listeners with different theories as well. Almost say that this podcast tears through Serial. Worth a listen to if fan of Serial.